Necromunda - An underworld of corrosion. A kingdom of decaying metal. A realm of outlaws, bounty hunters, thieves, and gunslingers. In the underhive, gangs go head to head in running battles over territory, over credits…and over grudges that have lasted generations. 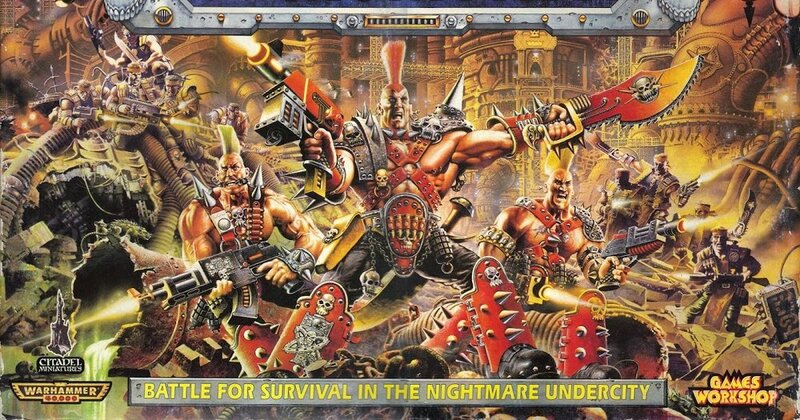 The NOVA Necromunda tournament is a fun and competitive single-day, four round event. Join the Necromunda 3-day narrative as a "Full-Timer" and take your gang on three days of "Day Jobs" battling it out in the decrepit underbelly and Strangers' Spire of Necromunda. This ticket covers participation in all rounds of the Necromunda Narrative. Join the Necromunda narrative as a "Part-Timer" and take your gang on a full day of four "Day Jobs" battling it out in the decrepit underbelly and Strangers' Spire of Necromunda. This ticket covers participation in all rounds on DAY ONE of the Necromunda Narrative. *Join the final (largest and most exciting) Necromunda narrative round on Thursday as a "Temp-to-Hire" and take your gang on a thrilling "Day Job" battling it out in the decrepit underbelly of the Necromunda hive world. You can bring your own models or use special Gangs provided by the Arbitrators. Great for trying out Necromunda.